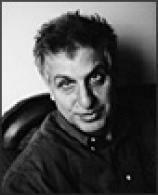 Errol Morris, who makes Academy Award-winning documentary films? Yes, that one. With “The Thin Blue Line,” he won the freedom of a convicted killer --- in Texas. In “The Fog of War,” he got former Secretary of Defense Robert McNamara to consider that maybe it wasn’t so clear we were the good guys in Vietnam. Two decades ago, he got interested in a 1970 murder at an Army base in North Carolina. In the middle of the night, Jeffrey MacDonald’s pregnant wife and two young daughters were stabbed and bludgeoned to death. MacDonald was stabbed but survived. He told the military police that a band of hippies had burst in to his home, chanting “Acid is groovy, kill the pigs.” After they dealt death, they wrote “PIG” on a wall in the master bedroom --- in blood. The Army investigators did not find those hippies. Not that they were hard to find. It was more that the investigators really didn’t look for them. They had a better suspect: the husband and father. Jeffrey MacDonald was a Princeton-educated surgeon noted for his self-control. If he had a motive for killing his wife and kids, it was deeply buried. But in 1979, it took a jury only six hours to find him guilty. The judge sent him to jail for three lifetimes. "A WILDERNESS OF ERROR...is not a book you should start on a day when you have a long to-do list. This is not one of those dull, paint-by-numbers crime books. It doesn’t start with the murders and then double back. It starts with a challenging idea: a comparison of the MacDonald case and THE COUNT OF MONTE CRISTO." Because on the basis of the evidence presented at trial and the evidence that was not allowed to be presented at trial, Errol Morris does not believe that Jeffrey MacDonald is guilty. If you followed this case, you know different. You know different because you watch TV and, three decades ago, you --- along with 30 million others --- saw a long segment about this case on the season premiere of “60 Minutes.” Or maybe you were among the 5 million who bought a book by Joe McGinniss called “Fatal Vision.” Or perhaps you watched a two-part NBC miniseries about the murders --- the most popular of the year. In short, you know whatever you know about this case because of a media narrative. You don’t know the facts. You know the story. 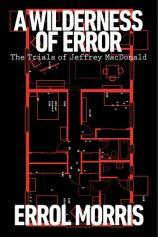 A WILDERNESS OF ERROR: The Trials of Jeffrey MacDonald is not a book you should start on a day when you have a long to-do list. This is not one of those dull, paint-by-numbers crime books. It doesn’t start with the murders and then double back. It starts with a challenging idea: a comparison of the MacDonald case and THE COUNT OF MONTE CRISTO. You remember that story: an innocent man, convicted of a crime he did not commit, is condemned to live out his days in an island prison from which there is no possible escape. But he does. And then he triumphs. Because this is fiction. Because Alexandre Dumas has written it that way. In our century, Morris says, we have a prison that makes the Count’s seem modest. It is “the prison of belief.” How, Morris asks, do you escape from a story that pretty much everybody believes? That is Jeffrey MacDonald’s prison. The Army investigators made mistakes, the police and prosecutors followed their lead, and then Joe McGinniss --- “a sloppy journalist who confabulated, lied, and betrayed while ostensibly telling a story about a man who confabulated, lied, and betrayed” --- hammered the nails in. Who’s right? Read the book. Note the witnesses that were of no interest to the prosecution, the confession the court ignored, the judge’s unusual rulings, the sharp turn McGinniss makes. And more. So much more. When these boys were convicted, I had a question: How can a killer who sat behind Johnny Pius in school see Johnny’s empty desk and not crack? Why do kids kill kids? So I started to re-report the story. By the second day, I knew a great many things the police didn’t about Johnny Pius, his family situation, another kid in the neighborhood --- that is, I knew the convicted killers were innocent. And I wrote that in a long, two-part piece in New York Magazine. Why do kids kill kids? In the Pius case, they had no reason to. And they didn’t. In the all-important first 24 hours after the murder, the police made important mistakes. They developed a theory of the murder. And then they set out to prove it. After you read almost 400 pages of A WILDERNESS OF ERROR, you are desperate to know: How do those who believe MacDonald killed his family explain why he did it? It is at this point that Morris presents the answer Joe McGinnis came up with, the answer that has come to be the more or less official explanation. It is --- let's be charitable --- a stretch. Which may lead you to wonder: People really believed this? Which may then lead you to ask: But what about all the evidence that points away from Jeffrey MacDonald? And then a light bulb may go off for you, and you may understand many things --- about these cops, these prosecutors, our national media and, not least, why Joe McGinniss is so pissed at Errol Morris. In 1980, I got an assignment from The New York Times Book Review to interview Joe McGinniss on the publication of his book about Alaska. My girlfriend and I drove up to his home. I did the interview, we spent the night as guests of McGinniss and his wife, I wrote the piece, the Times published it. Shortly before the publication party, McGinniss’s agent called to tell me I’d been disinvited. He didn’t know why, and he suggested that I call McGinniss to find out. ”I’m on my way to the airport,” McGinniss said when I called. I asked if there was a better time to call. ”I’ll always be on my way to the airport when you call,” he said. Although we haven’t spoken since, McGinniss recently friended me on Facebook.